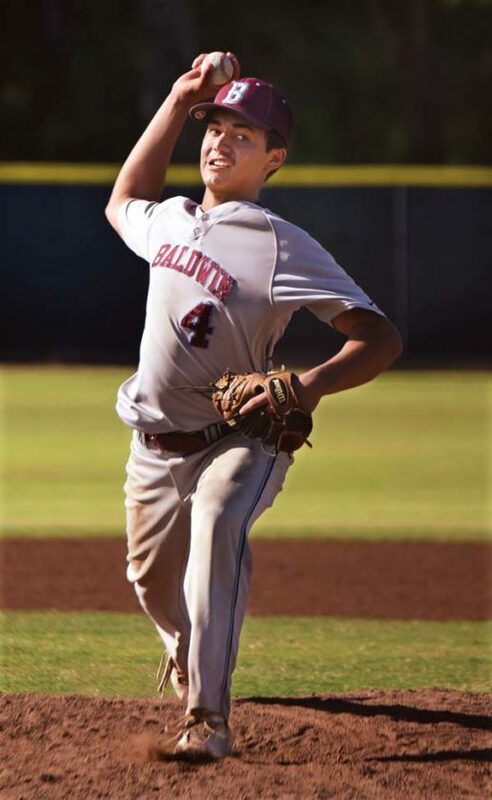 WAILUKU — It was a state-championship game remix of youngsters-turned-veterans leading the attack for the Baldwin High School baseball team on Tuesday in the Bears’ 4-0 win over Kamehameha Maui at Maehara Stadium. 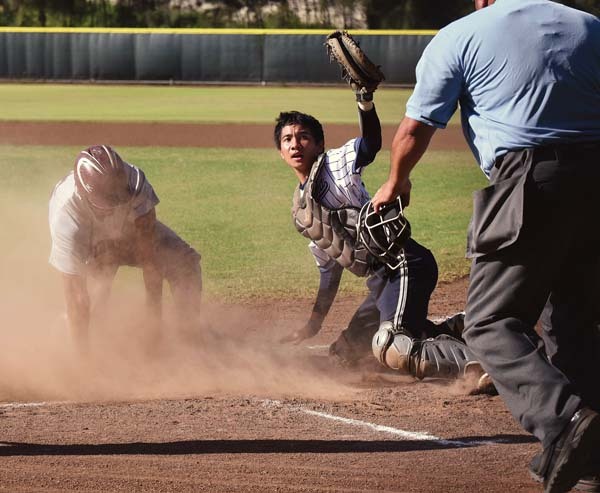 Third baseman Chayce Akaka, in the lineup for the first time in Maui Interscholastic League play this season, smacked a triple on the fourth pitch of the bottom of the first inning and scored on a sacrifice fly by Kaipo Haole two pitches later. Cade Kalehuawehe put the Bears (6-0) ahead 2-0 when he singled and later scored on a groundout by Anthony Hoopii-Tuionetoa in the second. Nainoa Keahi drove in Baldwin’s third run in the third on a bases-loaded single to left field with no outs. 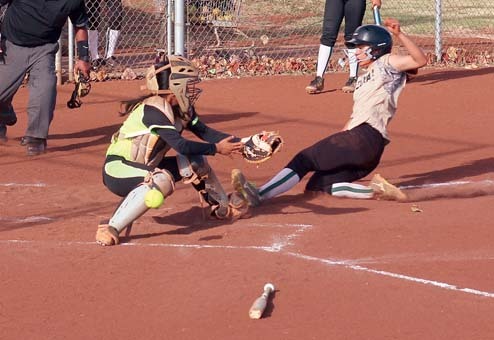 The next two outs were made at the plate on attempted steals, and Kamehameha Maui pitcher Konnor Palmeira struck out Hoopii-Tuionetoa to end a bases-loaded threat. Baldwin made it 4-0 in the fourth when Ekolu Watanabe scored on a wild pitch. Haole needed 85 pitches to get through the first 6 2/3 innings — he allowed five hits, struck out five and walked two. The sophomore right-hander faced the minimum in the third through sixth innings before two walks and a hit in the seventh ended his day. Roy Meinen got the final out with the bases loaded. Haole started on the mound in the Bears’ 5-1 win over Pearl City in last season’s state title game. Current juniors Akaka, Hoopii-Tuionetoa and Keahi were also in the state title tilt, as was sophomore Kalehuawehe. Baldwin outscored the Warriors 18-2 over 23 innings in completing a three-game sweep on Tuesday, a makeup game from a Friday rainout. Kamehameha Maui (5-4) has a bye this week and face King Kekaulike in a three-game set next week to finish the regular season. 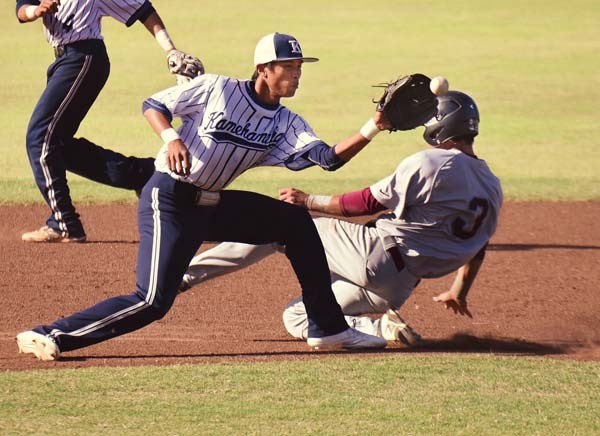 “They’re a really good team, we have to play perfect baseball against them, and they got the best of us this series,” Kamehameha Maui coach Mo Lau Hee said. The Warriors battled back from an 11-0 loss Thursday against Baldwin. 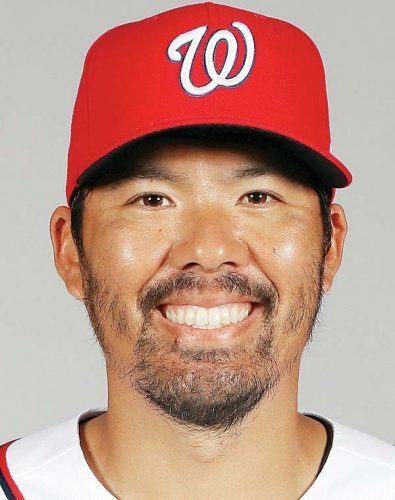 “We have a lot of heart, the boys are going to play every inning, every out like it’s their last, and we’re going to fight to the end of the season,” Lau Hee said. Konnor Palmeira, Graydon Tanaka (5) and Ross Panlasigui; Kaipo Haole, Roy Meinen (7) and Cade Kalehuawehe. 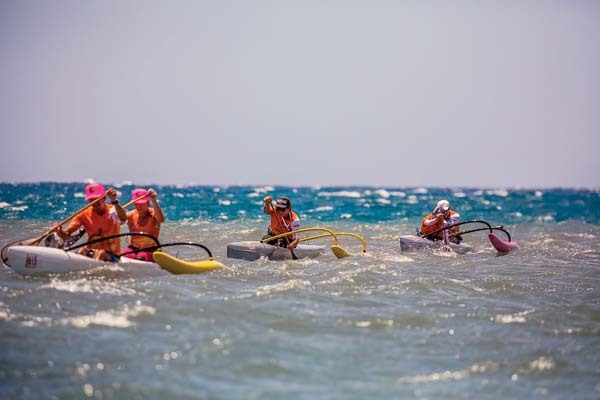 W–Haole. L–Palmeira. Sv–Meinen. 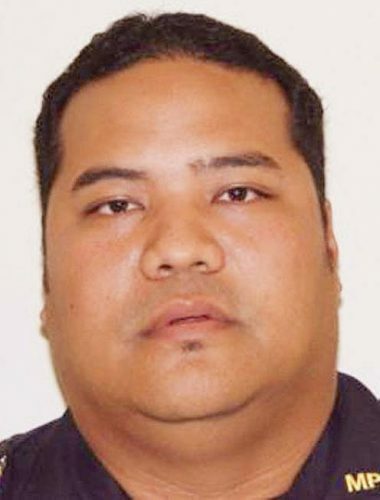 3B–Baldwin: Chayce Akaka.